The new VW Buggy concept. Volkswagen will reveal the first fully electric version of a new buggy. It takes its cues from popular American dune buggies, the concept vehicle is based on the modular electric drive matrix, demonstrating how multifaceted the new platform truly is. 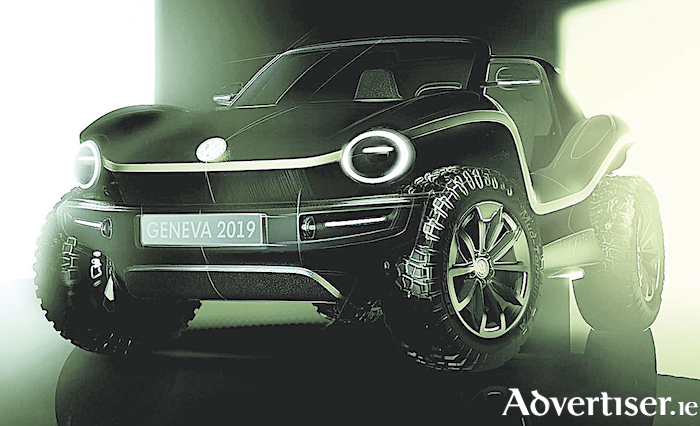 The latest one-of-a-kind model, the fully electric concept buggy, will be revealed for the first time at the Geneva Motor Show early in March.